The online version of this article ( https://doi.org/10.1007/s10750-017-3445-3) contains supplementary material, which is available to authorized users. The current study was supported by the Australian Research Council Discovery Project (DP160103320) and the Marie Curie International Research Staff Exchange Scheme Fellowship within the 7th European Community Framework Programme (612296-DeNuGReC). FP acknowledges the project CHALLENGEN (CTM2013-48163) of the Spanish Government and a post-doctoral contract funded by the Beatriu de Pinos Programme of the Generalitat de Catalunya. Ventura, T., Q. P. Fitzgibbon, S. C. Battaglene & A. Elizur, 2015. 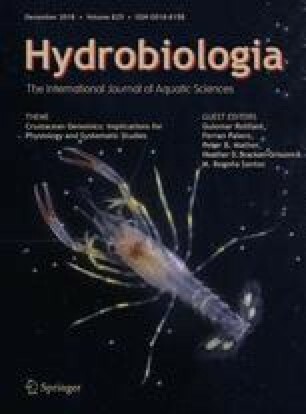 Redefining metamorphosis in spiny lobsters: molecular analysis of the phyllosoma to puerulus transition in Sagmariasus verreauxi. Scientific Reports 5:13537. http://www.nature.com/articles/srep13537#supplementary-information.